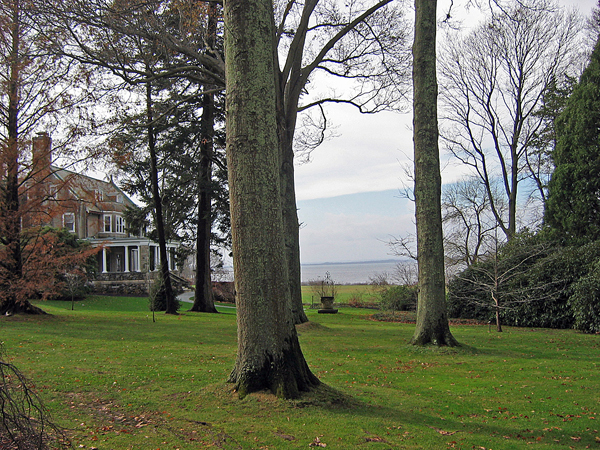 Meaning “cheerful woodland” in Old English, this summer retreat of coal magnate Augustus Van Wickle overlooks Narragansett Bay. 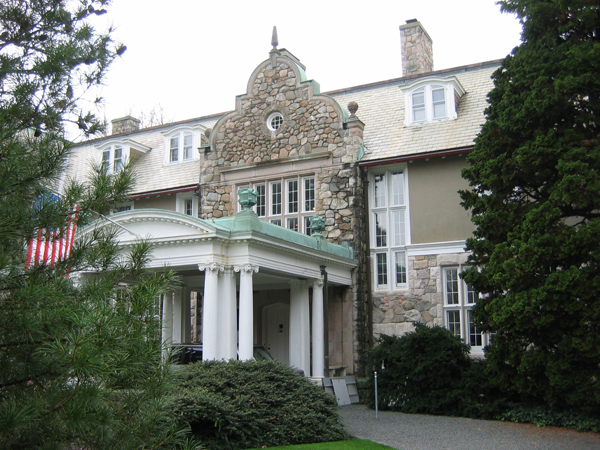 In 1895 Van Wickle purchased 70 acres of waterfront property (the former summer home of banker John Rogers Gardner) and constructed a Queen Anne-style manor; the house was destroyed by fire in 1906 and replaced by an Arts & Crafts-style mansion by the architects Kilham and Hopkins. 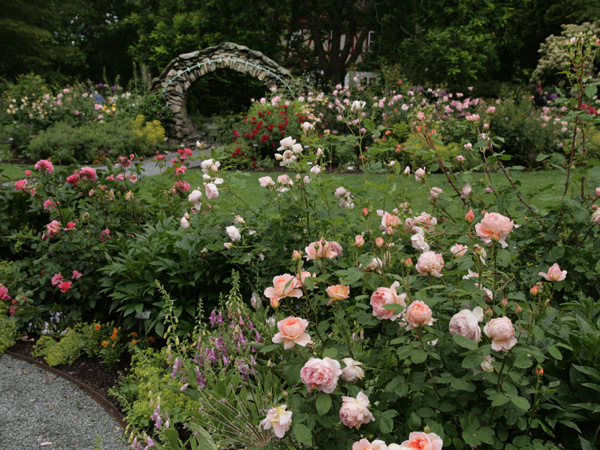 Blithewold’s grounds, including 33 acres of display gardens and an arboretum, were designed by local landscape architect John DeWolf between 1895 and 1912. 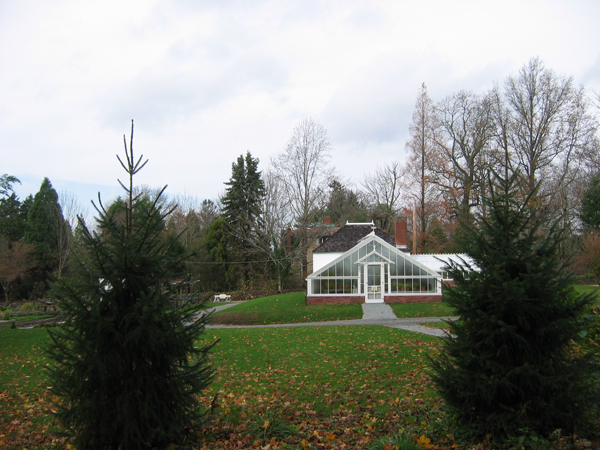 A curving gravel drive bordered by stone walls leads past stables and a greenhouse designed by Lord & Burnham in 1901. 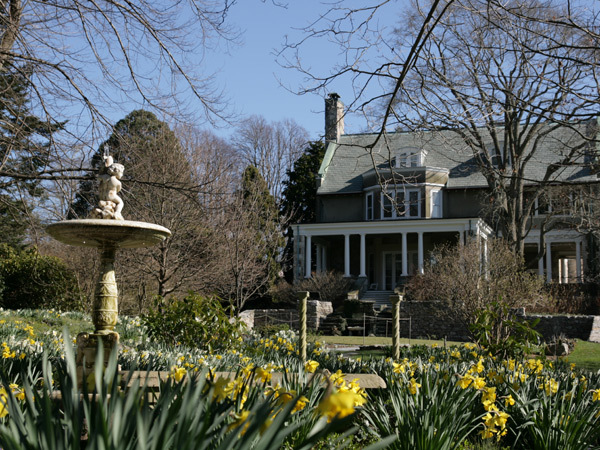 The east-facing manor is bordered by broad lawns and gardens punctuated with specimen trees, including a giant sequoia. 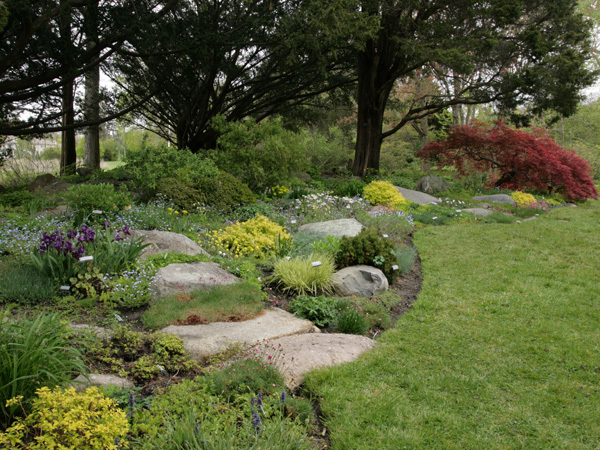 Gravel paths connect informally arranged gardens in the north, including a bosquet, a rock garden, an Oriental-style water garden, a formal perennial garden, a rose garden with a moon gate and stone wall, and the enclosed garden, bounded by spruces, larches and English oaks. 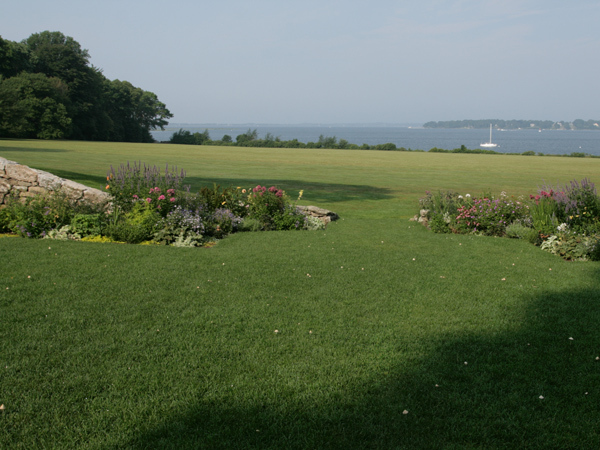 The mansion's western facade looks out over the ten-acre Great Lawn, which offers sweeping views of the bay. Docks and bathhouses were erected along the waterfront and a beach was created with imported sand. 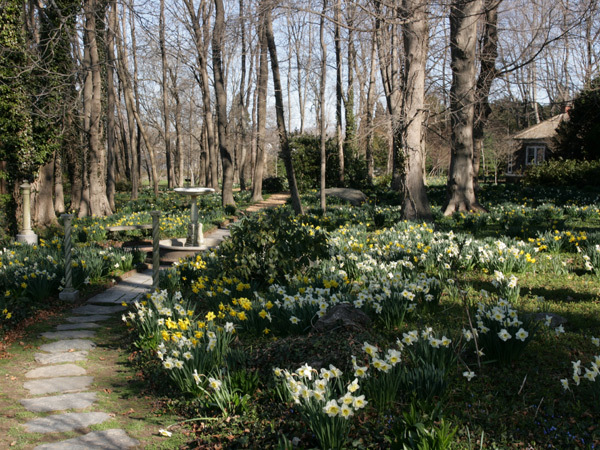 Despite destructive hurricanes in 1938 and 1954, the major elements of DeWolf’s landscape remain intact. 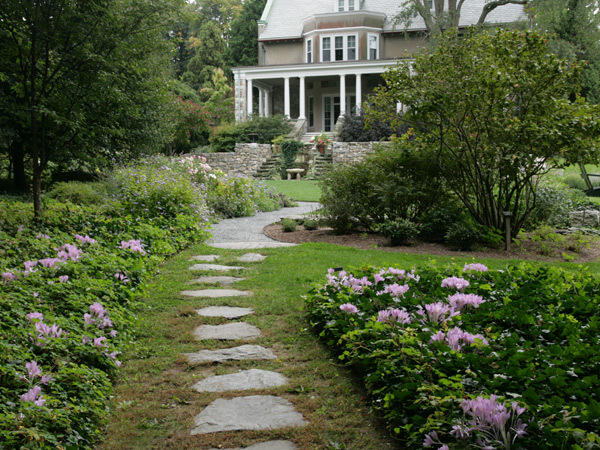 The estate was bequeathed to the Heritage Trust of Rhode Island (now Preserve Rhode Island) in 1976 and listed in the National Register of Historic Places in 1980.